The picture of this Northern Parula Warbler Fall was photographed at Green-wood Cemetery in Brooklyn, New York. This Northern Parula Warbler was photographed with the Canon 5D Mark IV and the Canon 100-400 II lens. It is always fun to experience fall migration in the New York City area. 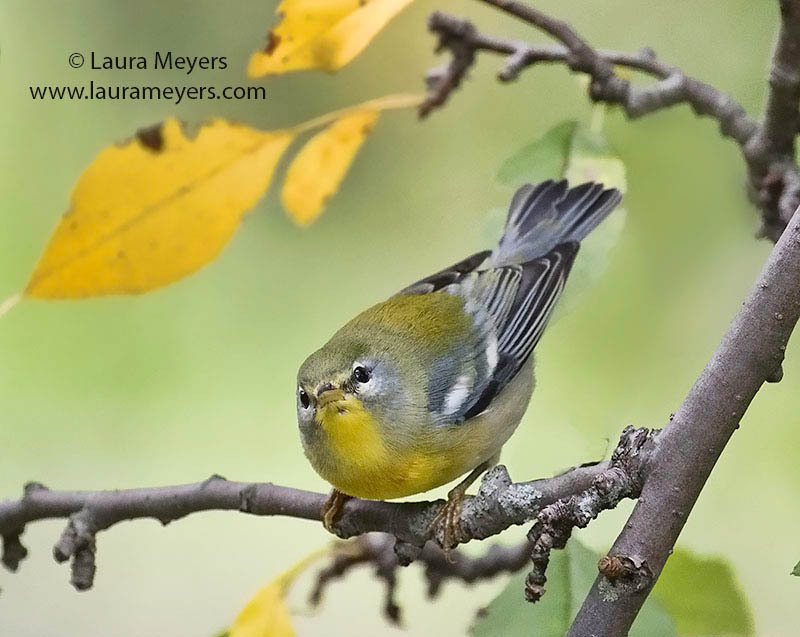 To hear the song of the Northern Parula Warbler, click on the arrow below. Wonderful wonderful. I was there that very day and am sure this was the most cooperative NP I have ever seen. Although Laura caught him on a tree, I was THRILLED to see him literally skipping on the ground – birders will appreciate the joy when sightings are that ez.